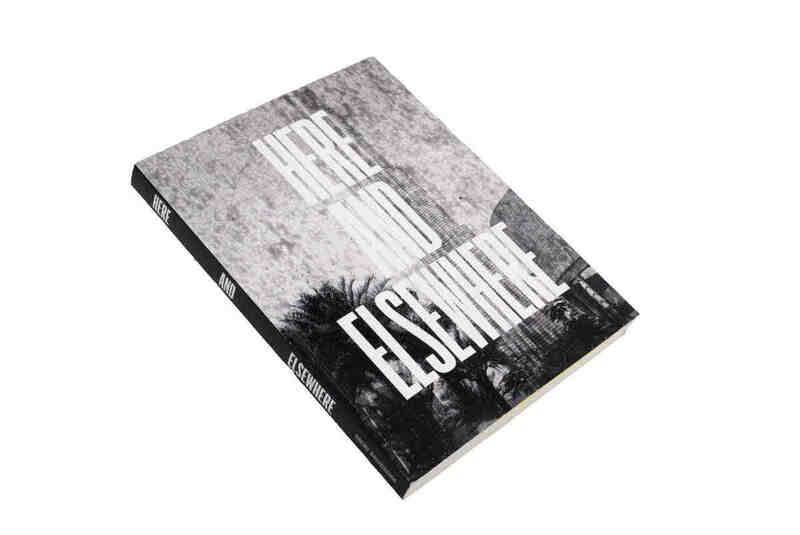 On the occasion of the New Museum’s 2014 building-wide exhibition of contemporary art of and from the Arab world, ‘Here and Elsewhere,’ Bidoun’s Kaelen Wilson-Goldie and Negar Azimi co-edited the exhibition’s catalogue. The catalog included an essay by Media Farzin on the vexed and vexing history of geographical approaches to exhibiting contemporary art and an episodic account of three decades of street-level art and politics in Egypt by Yasmine El Rashidi. ‘Here and Elsewhere’ was organized by the New Museum’s curatorial department, led by Massimiliano Gioni, Associate Director and Director of Exhibitions, with Natalie Bell, Curatorial Associate, Gary Carrion-Murayari, Kraus Family Curator, Helga Christoffersen, Assistant Curator, and Margot Norton, Assistant Curator. The exhibition catalogue was designed by Project Projects.